Do you know that Google Chrome web browser supports offline games? Yes! you can save some games to play offline from Google Chrome web browser. Chrome Web Store gives you access to Google Chrome extensions, applications, games and themes. There is an offline icon on Applications and Games which are accessible in offline mode. There is even a section in Chrome Web Store for “Offline Apps”. You will see some games in this section. Angry Birds is one of them. This is one very popular game around the world. People mostly play this game on their smart phones. We will see how to play this game from Google Chrome Web Browser? How to Play Angry Birds on Google Chrome? There should be a bookmark called “Apps” on the bookmark bar of Google Chrome. Google recently updated Google Chrome web browser and this is a part of that change. If you hide bookmark bar on your web browser, go to chrome://apps and then click on “Store” application. You could also directly visit this web address – chrome.google.com/webstore to access Chrome Web Store. Search for Angry Birds in the web store. This game is listed under Collections – Offline Apps. Alternatively, you could visit chrome.angrybirds.com. Install Angry Birds for Chrome Web Browser. 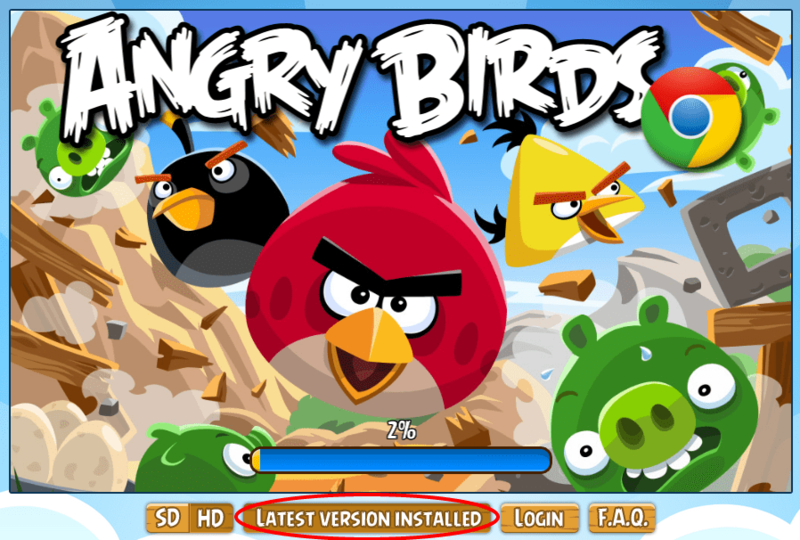 Install Angry Birds to play offline from Google Chrome web browser. There is a link on chrome.angrybirds.com, “install to play offline”. You can use that link to install Angry Birds to play it offline from chrome web browser. Disconnect your computer from internet and try to play Angry Birds from Google Chrome. It should work! I am not a huge fan of Angry Birds, but I like to play this game. I used to play it on my Android phone. I never knew we could also play Angry Birds on Google Chrome. I am enjoying this game on Chrome browser these days. Google Chrome is good to play offline games, as we never need to install extra software for playing games. Free software is not always a good choice, as they often distribute unwanted content with them. Next Post How to Keep Track of Facebook Activity?